EU to start with has no right to use Gibraltar as a negotiating tool for UK’s Brexit. Firstly, let us all remember Gibraltar Voted to stay and although in the main compared to UK it means nothing but in actual fact to US as a people it means a lot. We accept democratically that people in UK voted to leave and although we fully understand it – remember we all voted to remain in. Why? It is simple Andalucía and Gibraltar as a whole have benefited from being in the EU especially on free movement of people and trade. Now due to Brexit this is put in danger. With it comes as we always knew – the sovereignty issues again. The European Union has no right whatsoever on using Gibraltar as a negotiating tool or a pawn for political gain! Once again Spain that has bullied Gibraltar and its people for over 300 years is once again at risk! How many times does Gibraltar and the people need to vote to state what we want. We have had a referendum in 1967 where we asked if we wanted to pass under Spanish sovereignty or remain under British Sovereignty! Over 12, 000 people voted the result was very clear – 99.64% British Sovereignty. In 2002 due to Jack Straw stupidity of thinking we would want shared sovereignty – we had a vote again with a clearer question – DO you approve of the principle that Britain and Spain should share sovereignty over Gibraltar? Answer was a Yes or NO and the result again over 17 thousand people voted with a result of 98.48% NO! You would have thought we cannot or have not been clearer than ever” nearly 35 years later from the 1967 referendum! We DO NOT WANT TO BECOME SPANISH OR SHARE WITH SPAIN! Order 2006 – UK cannot negotiate without the consent of the people of Gibraltar! Gibraltar gets along well with Spain until the Spanish Govt claim our land! We have been British for over 300 years one would have expected that Spain understand the message by now! What has added insult to injury is that who do the European Union think they are in placing a veto on Gibraltar on the Brexit issue with UK? It is up to Gibraltar and only Gibraltar to decide on our future. The EU has no right at all and as such must take back that Veto clause and UK should stand up and fight it too! Gibraltar is not a pawn to be used by EU – Spain or UK! Hands off us! Gibraltar has a right to be heard and a right to choose. In Article 50 our PM should have included Gibraltar so that this did not happen and to ensure we play a part of the Brexit negotiations! It is sad to see that once again the pen pushers in UK did not foresee this! Now we need all of our UK MPs and MEPs to stand up and fight for us! EU has no right to interfere with the long-standing dispute that Spain is and has been fixated with about Gibraltar! What Spain and the EU should be doing is ensuring a good Brexit Trade deal! Donald Tusk is taking the wrong action with his reactions! What is more upsetting for me as a Gibraltarian is the silence from the other member states! There is no way to remain neutral in this decision – if member states do not stand up for us it means they agree to oppress us and bully us just like SPAIN! All member states should be outraged by this veto! It is wrong politically and morally! Remember injustice anywhere is a threat to justice everywhere! Our lives begin to end the day we become silent on the things that matter! IT DOES MATTER THAT EU THINK THEY CAN PLACE THIS VETO IN THIS DAY AND AGE OF DEMOCRACY! So hence why we must go worldwide so this injustice stops now! NO Veto on negotiating out of the EU using Gibraltar! End of! Remove any reference to Gibraltar! Like our Chief Minister stated removing would be a sign of good faith and good will. Removing will be limiting damage instead of increasing the damage to Gibraltar who if you think about it were the ones who voted to REMAIN! The veto is not constructive! The EU has become a game of POWER! Theresa May has to start standing up for us and stop the bullying of smaller UK Territories by EU or Spain or in fact any other country! What I find very hypocritical is the fact that now Spain has come out stating they would accept Scotland as an independent member of the EU – when they will not let Catalunya become independent! Worse that Spain dare to claim my land when they ceded Gibraltar in perpetuity meaning FOREVER! Spain tried to capture Gibraltar in the 13th Seige 1727 then in the great siege 1779/1783. Now in our modern world we have had to have two referendums to show Spain we are not theirs to claim. It seems that now to Keep SPAIN happy the EU has interfered in what is none of their business. Gibraltar was included as a special member state when UK joined the EU in 1973 – Spain did not join until 1983! So we should play an active part on the BREXIT too! Spain has no say on our future! This veto is just a new modern way to try and get control of Gibraltar and UK must stand firm – no deal if Gibraltar is being vetoed! By the way about Spain consistent claim – let them take it to court as they keep refusing! People say it is not about sovereignty – but it is – look at this correctly – why has Spain got to agree or accept anything about Brexit and specifically on Gibraltar? 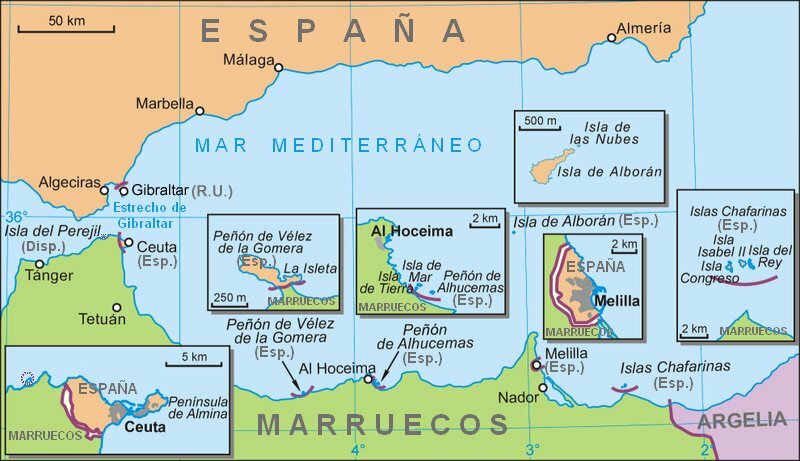 I am sure Spain would not like it if EU interfered with Spain relationship with Morroco – that is about Ceuta and Melilla? So no we do not trust Spain and never will. But very thankful for the tough message being sent by UK to Spain! About time we heard our UK Lion ROAR! Spain continues to Bully Gibraltar now with EU help! Sometimes I think I need to really pinch myself to see if what has been said by EU is actually true a reality! How come in this day and age of modernisation and democracy could a institution like the European Union think it can dictate my country's future? Gibraltar and the people are the only ones who can determine our future! It is our CHOICE, our VOICE! 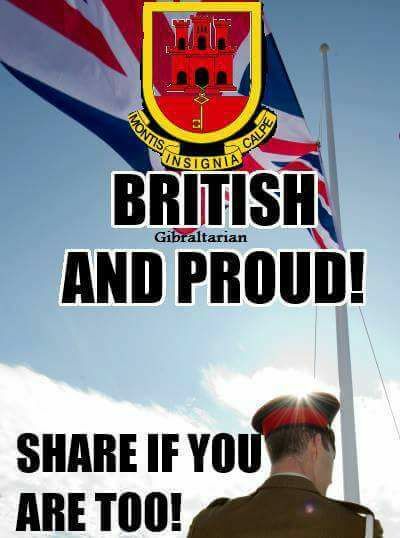 We the people of Gibraltar for over 300 years have been BRITISH and will continue until we decide otherwise! It is not the EU to decide or even Spain to take! It is not even up to the UK Government to give away! The true reality is that once again my land is being used as a political pawn! How can this be done? Not only is it wrong for the UK to accept but equally wrong is the EU to allow a veto like it has! Absolutely wrong is the fact that Spain does not drop its claim on OUR land! What is quite shocking for me is to see that 27 Eu member states are quiet about it! So I ask these member states how would you feel if it was your country being vetoed? How would you feel if an institution like the European Union because of a member decides to put at risk your land and people! The fact is the EU is crumbling and is using Gibraltar as a pawn so no other countries dare to leave! UK needs to stand up and be the LION and not a tame cat! Spain needs to fix the corruption in their own country and look after their own people! The EU should step back and allow any member states to leave if they so wish! Why? Because of democracy! 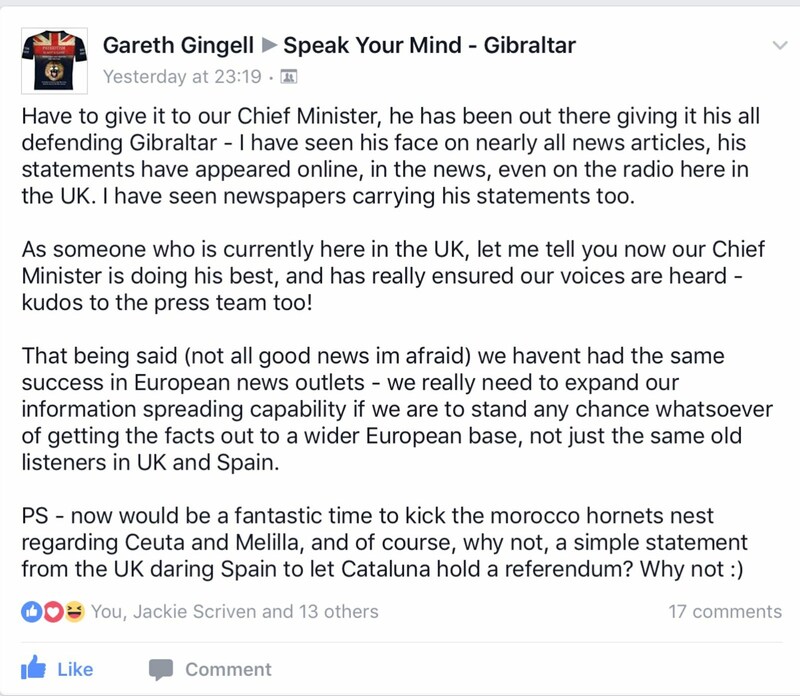 So the great thing is we are getting the attention and support in the UK but what we need is the support worldwide and all our European members to help support that Gibraltar are the only ones who decide their future! We ask for our rights to be respected and that no other country or institution be allowed to decide for us! So we ask you all to spread the word all over the world so that the EU get the message loud and clear - remove the veto given to Spain over Gibraltar! On Thursday, 19th January 2017, the Defenders of Gibraltar represented by its Chairperson Anne-Marie Struggles, Committee Member, Nadia Esserti and it's Press Officer, Ellie McCauley-Cummins met with His Excellency Lieutenant-General Edward Davis. 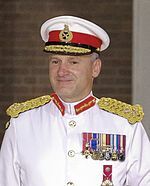 CB CBE Governor and Commander-in Chief Gibraltar, at the Convent. A full and frank discussion on both sides ensued. Anne-Marie Struggles voiced her concerns about the continued 'bullying' from Spain, not least the escalating Spanish incursions which place residents of Gibraltar and their families in danger at sea. His Excellency acknowledged that these incursions will continue to be monitored vigorously. His Excellency also acknowledges the possible upcoming problems that may occur at the Border when the new amendment to the Schengen Border Code requiring tighter Border controls come into effect in March. 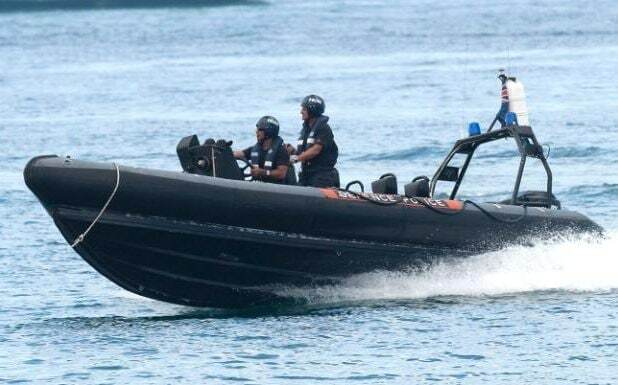 One of our biggest concerns for us as a people is ensuring their safety and security at sea. So we urge everyone who experiences or has experienced any harassment at sea - to email us at defendersofgibraltar@gmail.com and to write a letter to the Governor too! This is the only way we can ensure our safety and those of our families. Our Chief Minister is dealing with Brexit and ensuring that UK Government take into consideration Gibraltar in their negotiations in leaving the EU. This is not an easy task for sure but we will survive whatever comes as we are a strong people and determined to survive as Gibraltarians. Never underestimate the passion of us as a people! Our history of over 300 years is proof of that - with and without an open border! We will never negotiate our identity! 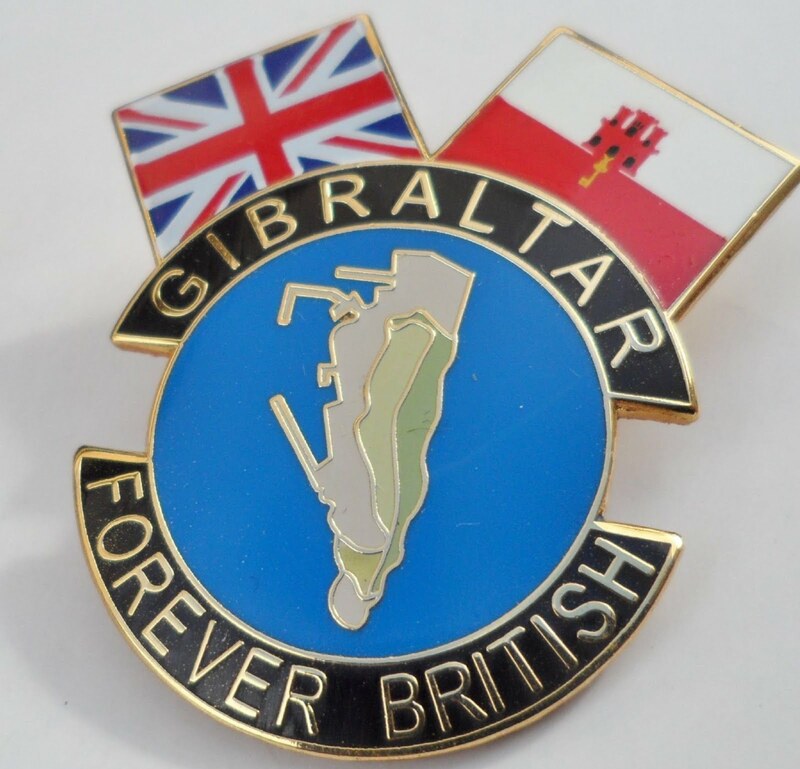 Never has another referendum for Gibraltar been as important us our last one to Remain British! This referendum gives us a chance to vote as part of the United Kingdom. AS such we urge all British people to think not only what is best for England but best for all of the UK and overseas territories. This includes our magnificent Gibraltar. With UK in the EU we can continue to grow and offer opportunities to everyone to be able to live and work in Sunny Gibraltar and many will continue to reap the benefits of the EU. There is a lot of scaremongering going on about staying IN or Leaving but the facts need to be communicated properly without doubts and emotion. Being in the EU allows us all to have a say on our future and allows us all to grow financially even more. SO we urge all British people to be very cautious and to know what their vote will mean. Gibraltar benefits from an open frontier and yes even if there are issues caused by Spanish Government the EU has a responsibility to solve them and get involved - no matter how they have tried not to in the past. All British people who also live in Spain benefit greatly by UK remaining IN- their future also depends on UK voting Remain IN on the 23rd June. Not just in Spain but all over Europe we can all travel as EU citizens but if UK vote to leave this is one big part that we will all lose out on. Freedom of trade and movement. We support our Government in Gibraltar on the stance to Vote to REMAIN IN. We stand side by side in Gibraltar as do our Opposition Members as do all businesses in Gibraltar. So as always we the Gibraltarian people will stand side by side with our Chief Minister Fabian Picardo on what is deemed to be the best for our future. So we urge everyone out there that has a right to vote on this referendum to please be informed on the impact to all British people everywhere! Together, for over three centuries, we have defended British interests and values. We were there for the Falklands crisis, the IRA era, WWII and even after the historic and decisive Battle of Trafalgar when Admiral Nelson’s body was first landed in our small corner of the British family. It’s a great privilege to have the opportunity to put the Gibraltarian perspective across to you in a newspaper that has so often stood up for the Rock and its people, not least when Spain has tried to bully us. That's why it's sad that, on this occasion, many of Gibraltar’s great friends and supporters will have strong personal views on this issue that differ from our own. Of course, everyone, every city, town and nation, England, Scotland, Wales and Northern Ireland has a different opinion on how Britain should vote on June 23rd. I expect the vast majority of people on the Rock will be voting to remain in the European Union. But trust me, centuries of sieges – military, economic and political - have never changed our minds about being British. we urge VOTE to REMAIN IN! Support Gibraltar by voting in! Our FUTURE depends on all of you who can vote! Vote Stay IN and show us you stand with us! Once again Spain has nearly caused an international incident! This time our Roya Navy had to warn off Spanish Vessel with Flares. 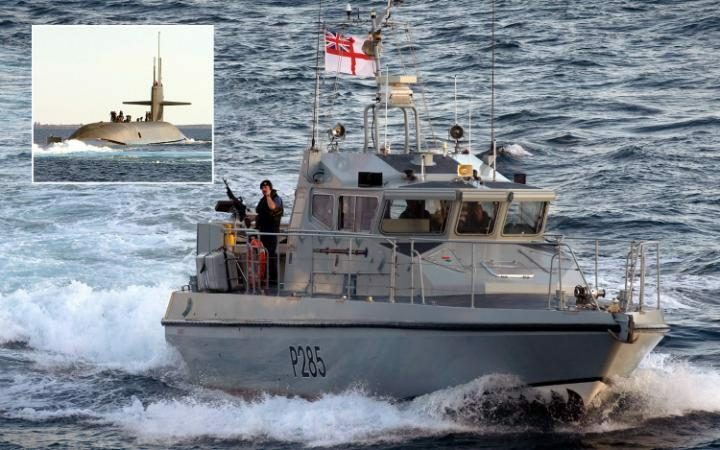 The Royal Navy fired flares to warn off a Spanish patrol boat approaching an American nuclear submarine off Gibraltar. 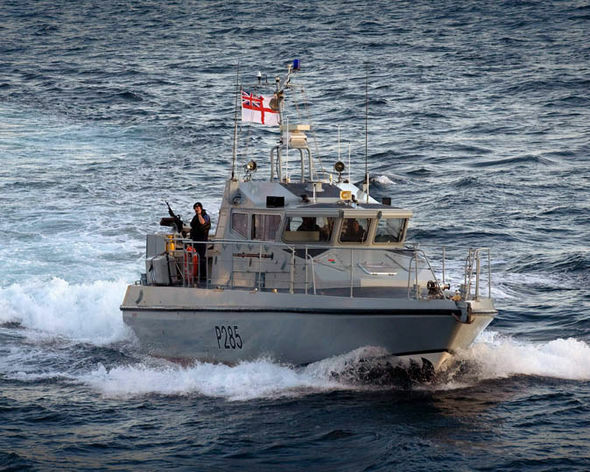 The fast patrol boat HMS Sabre fired warning shots across the bow of a Guardia Civil vessel as it twice tried to cut across the path of USS Florida during an incursion into Gibraltar’s waters. Gibraltar says Spanish vessels regularly stray deep into its territorial waters and the Foreign Office has attacked the incursions as provocative. But defence sources said it was rare for a Royal Navy vessel to fire flares and it had only happened a couple of times in the past two years. One Naval source said: "It just got too close and when it's a nuclear submarine, you get twitchy anyway. If you have responsibility for the protection of it, then you are going to take action much quicker than you might normally. The force protection measures worked and the vessel went away." 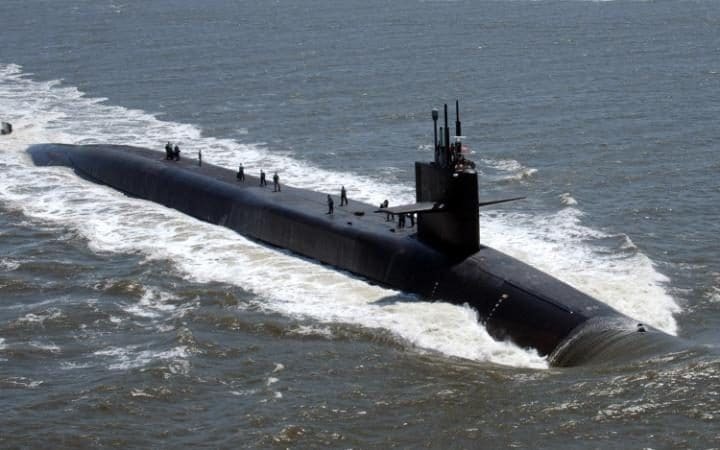 Officials in the British overseas territory have complained about the incident as USS Florida visited the British Naval base last month, the Sun reported. Spain claims sovereignty over the strategic outpost, which stands on the southernmost tip of the Iberian peninsula, but has been a British Overseas Territory since the Treaty of Utrecht in 1713. In recent years Madrid has warned it is ready to impose a new border tax, close its airspace to planes using the British overseas territory's airport, and investigate the affairs of Gibraltarians with Spanish economic interests. The row escalated in 2013 after Gibraltar began building an artificial reef it said would improve fish stocks depleted by incursions by Spanish fishermen. What will our Governor do now? What will our Chief Minister do? What will Foreign Office do now? What are they all waiting for.... a death? An accident? Wake up UK! Wake up Governor! Wake up Gibraltar! 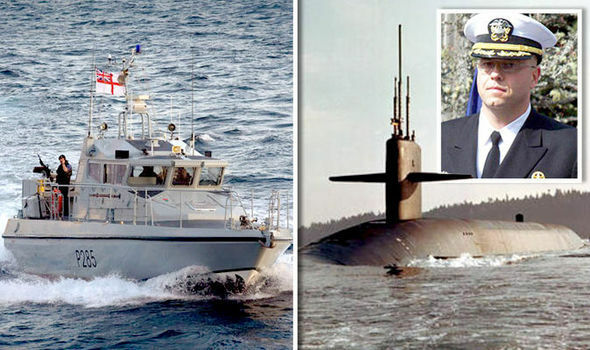 THE commander of a US nuclear submarine threatened to ram a Spanish customs vessel trying to block its path unless the Royal Navy vessel escorting it took action. Last week it emerged that a Royal Navy patrol boat fired warning flares across the bow of the Spanish vessel during the altercation just outside Gibraltar waters. It has now been revealed that the Royal Navy’s unprecedented actions were ordered by USS Florida’s no-nonsense captain Nathan Martin who warned the Royal Navy to sort the situation out or he would intervene. It was the first of two such actions by Spanish vessels that day. The second, in British waters, involved a Garda Civil police boat. The US submarine was making a routine visit to Gibraltar’s submarine base on April 16. It had already surfaced but was still in international waters when its path was intercepted by a Spanish customs vessel. Strict security protocols, partly prompted by the successful Al Qaeda attack on the US destroyer USS Cole in 2000, require the captain of any US warship to prevent uninvited vessels from getting too close to their ship. Despite being escorted by the Royal Navy patrol boat HMS Sabre, the Spanish vessel crossed the submarine’s path several times. Captain Martin was nearing the end of his 77-day operational tour on the submarine when the altercation took place. Last night a senior Royal Navy source with access to the “After Action” report about the incident, sent to the First Sea Lord and senior operational commanders, said it was a very difficult and tense situation. The source said: “The US commander was very concerned about his vessel and our officer was worried about sparking an international incident, a wrong decision could end your career in a situation like this and spark confrontation. “The US has very strict protocols about vessels getting close to their nuclear submarines, in a very nononsense manner he made it clear he wanted things sorted or he would resolve the incident, and all he could do was ram the boat. “It was a very tense situation. The Spanish had not responded to our transmissions on the emergency channel to steer away and the US commander was not prepared to wait any longer. “He made it very clear in his radio transmission that he wanted our people to act, or he would sort the situation out himself and, while he remained polite, he was very direct in conveying the message that he wasn’t prepared to allow the Spanish vessel to continue harassing his boat. Incredibly, Spanish authorities failed to heed the lesson. Later another Spanish boat belonging to the Garda Civil also harassed the submarine, this time in British waters. No flares were fired on this occasion. This is a very dangerous game for the Spanish to play and very unbecoming of a Nato ally to treat the US Navy with such contempt. We urge our Government to put the pressure on UK Government and the FCO and our Governor to protect our waters and to enforce a stronger security before we have a disaster! Spain has not taken long to threaten border closure while UK faces the IN or OUT of EU referendum! It never ceases to amaze me that Spain would use this difficult situation to once again find a way to bully Gibraltar. Can you imagine how hard life would become for us the people of Gibraltar if UK did vote out? As if it is not bad enough what happens when we are in I can only imagine how it will only get worse. 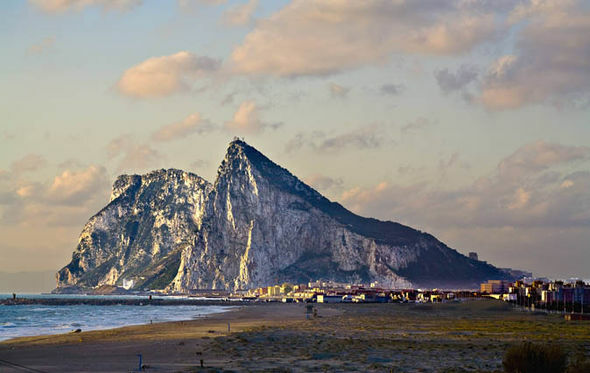 At the moment of course all politicians are united in Gibraltar to encourage the Vote in and as such are supporting and pushing the vote in campaign called Remain IN. 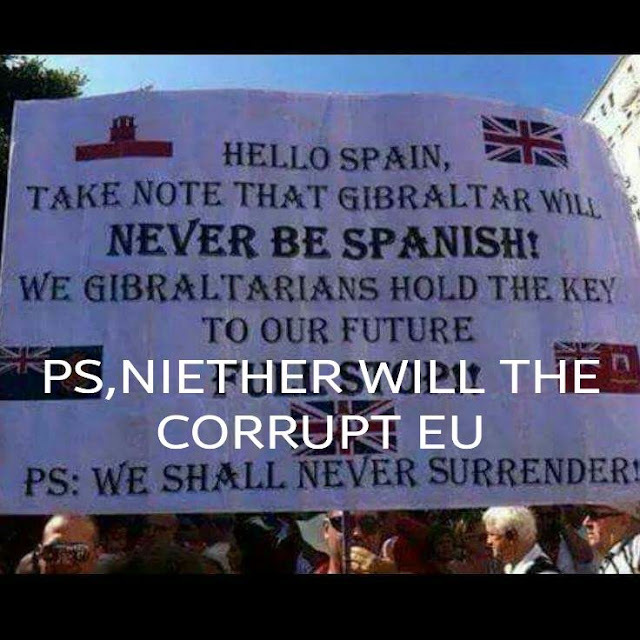 OF course they are and will as it is the future of Gibraltar not only for now but further generations to come. But one point that Spain continues to miss is that SPAIN is also benefiting from Gibraltar. More than 10, 000 cross borders workers depend on Gibraltar in Europe for jobs and security. La Linea, Algeciras, all the way to Malaga businesses and workers travel to work or make money from Gibraltar. So to think otherwise is such a foolish attitude. Spain should encourage more co operation between Gibraltar and Spain and not try to cause more division. The time has come if anything for Spain to join the spreading of the IN campaign especially since so many ex pats live in Spain and have a right to vote. Also we need to urge all UK citizens to also think about us when they vote - we are also British and we have been loyal to UK for more than 300 years! Now UK citizens should show more support towards Gibraltar and its people. SPAIN could close its borders with Gibraltar if Britain leaves the EU, a senior Spanish official has warned. The diplomat warned Spain could tear up its obligations to the Rock if the UK votes Leave on June 23. The unnamed source told the Times Madrid would no longer have to respect directives from Brussels on free movement of capital, goods and labour towards the British overseas territory. “We do not see Britain leaving the European Union as an opportunity but you have to understand that if Brexit happened it would change our obligations to Gibraltar,” the source told The Times. “No longer would we have to respect the free movement of labour, not having long queues and the free movement of capital and goods which Brussels demands. The Spanish government sees Gibraltar as a territory under “illegal occupation” and has aggressively maintained Madrid’s claim to sovereignty. Spain gave Gibraltar to Britain in 1713 under the terms of the Treaty of Utrecht. The government source said: “It is rather like if Spain occupied a territory in the Firth of Forth, allowed nuclear submarines to visit, helped industries to develop, used it to smuggle contraband cigarettes and said the waters around it belonged to Spain. Spanish foreign minister José Manuel García-Margallo, recently suggested if the UK votes for Brexit Britain and Spain could resume talks on joint sovereignty which were shelved by Tony Blair’s government in 2002. Fabian Picardo, the chief minister of Gibraltar, said: “Why would a modern European country behave despotically to a democratic people whose only desire is to have good relations and co-operation with our neighbours? In 2013 Brussels had to call in inspectors after a row broke out between Britain and Spain. Spanish officials had introduced tough border controls, which caused huge delays, in retaliation for the creation of an artificial reef in waters off Gibraltar. 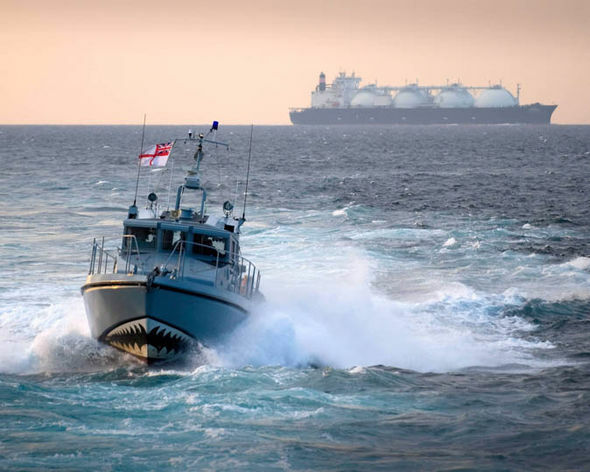 Tensions between the UK and Spain have been strained recently with around 300 unlawful incursions by Spanish vessels into British Gibraltarian waters last year. So no one in Gibraltar needs to be told how to vote as we all know we need to stay in EU to continue to prosper and grow. But the EU needs to realise that Spain should not be allowed to make life hard whether we are in or out of Europe! Spain should not be allowed to threaten or bully or even spread so much bad publicity about our Land and people! Europe is about Unity and working together as human beings no matter what country or nationality! When the issue of a referendum on the UK’s continued membership of the EU was first mooted, I asked David Cameron and David Lidington to ensure we would be able to vote with the rest of the UK. Both agreed. True to their words, when the vote was called, British, Irish and Commonwealth citizens resident in Gibraltar were included in the franchise. Now the coming weeks are going to move very quickly as we rollercoaster our way towards the vote on June 23rd. Alongside the dates of our other, historic, referenda, that will be one of the most important days in our modern history. The referendum to decide whether we remain in the European or leave it will be a defining moment for Gibraltar’s future and indeed that of the United Kingdom. I, along with the all the elected political party leaders, am asking you to go out and vote “REMAIN”. Gibraltar is not often politically united. You should realise the seminal importance of this vote given your politicians’ unprecedented unity on this subject which is not directly a sovereignty question. Some of you may feel your politicians argue too much. Maybe. But the reasons we are firmly united on this occasion have at their heart the preservation of our country’s many achievements over the past three decades. I therefore call on you to work with me and your other political and civic leaders to make sure that family and friends also use their vote to REMAIN in the EU. For anyone who will be away or unable to attend a polling station, make sure you or they organise their proxy votes. Your MPs, representing the entire Gibraltar Parliament will be joined by other representatives of civil society, trade unions, commerce and many others in giving whole hearted support to Gibraltar Stronger in Europe campaign. In the very capable hands of Gemma Vasquez and her team, I know Gibraltarians will give the “Gibraltar Stronger In” group every support. Voting at this referendum is as important as any referendum we have held in Gibraltar. Leaving the EU will not destroy us. Nothing can. Despite the headlines, Gibraltar has seen through many sieges and battles, challenges and often turned these into opportunities. Like on every occasion when we have been written off, we would endure and we would succeed. Of that I have no doubt at all. But why break something that works relatively well? Why exit a growing, expanding trading block that has delivered the prosperity that we enjoy today? Why move from the certainty of our status today to the unknown of the status we could have once the UK renegotiates it’s relationship as a non-member of the EU. Why would 30,000 people want to exclude themselves from a trading block of 520m people that will soon also have a free trade agreement with the 400m people in the USA? The only thing that is clear is that leaving the EU will certainly create unnecessary uncertainty. Yes, there are always winners and losers with major change. But in terms of Gibraltar we are agreed, across the political, commercial and trades union spectrum, that the losses with a leave vote far outweigh any benefits. The many ‘ifs’ that a leave vote creates – such as what happens at our frontier, what happens to financial services in the City of London, would Scotland once again seek independence etc – are simply the source of more uncertainty. Nothing has ever been easy for Gibraltar. Successive Chief Ministers have had to battle on many fronts – Spain, the EU and even sometimes the UK itself – to arrive at a Gibraltar that was strong enough to ride the many storms we have endured and to live in relative prosperity. We have seen though joint-sovereignty attempts, global economic upheaval and twisted Spanish diplomacy chomping at our doorstep. We won our right to vote at EU elections in the Court of Human Rights in a case against the UK. We have won and prevailed against countless EU Commission moves in areas such as tax and defended our highly reputable finance centre and our highly regulated gaming industry and both are now therefore highly regarded. We have won EU passporting rights crucial to the financial industries. By remaining in the EU we keep our successes and battle on. If we leave we will need to go back to the drawing board in some of the hard fought areas and we will rely on each successive UK government not sacrificing us to the expediency of its own political, economic and commercial interests and needs. Spain’s caretaker Foreign Minister is already excited at the thought of gaining leverage to pursue his personal sovereignty campaign against us. Well, whatever the outcome of the referendum let me be very clear: we will never surrender to pressure from Spain. Gibraltar will always remain ours. Gibraltar belongs to the British Gibraltarians and that is not going to change. Gibraltar will, of course, live to fight another day and we will survive whatever the challenge that comes before us. Your government is ready for the hard work that rebuilding a new economic model for the future will entail. We have been working on the options for some time. But why put ourselves and our children through all that uncertainty and subject to new potential pitfalls? If the best part of our 23,000 eligible voters choose REMAIN, the significance of that unity will go far beyond there being at least a slim chance that we tip the balance. Whatever the outcome of the overall referendum, Gibraltar must signal to UK, the EU and the world the direction we want to take: free movement of people, capital, goods and services, the right to trade freely with UK, with Europe and the world. Britain, as much as the rest of Europe and the World, need to hear from us what we expect of it. Our message must be united and clear. A huge Gibraltar vote to REMAIN is the only option that will get that message across. The EU is far from perfect. But voting to REMAIN in it is the right choice for Gibraltar. Facebook Group Link - HERE - Come join! Defenders of Gibraltar. Awesome Inc. theme. Powered by Blogger.